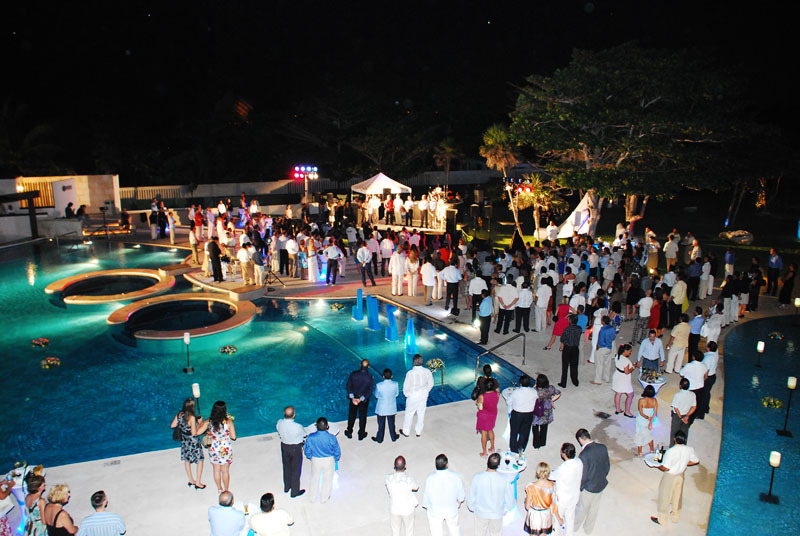 Over more than 300 people gathered the night of October 1st to celebrate the inauguration of Azul Fives Hotel by Karisma. The event took place at the complex beach club at 6:00 pm. The attendees among other distinguished guests we had the Governor of Quintana Roo, Felix Gonzalez Canto, the Mayor of Solidaridad (Playa del Carmen), TM Real Estate Group managers, Karisma Hotel & Resorts managers, condominium property owners, businessmen, real estate companies, collaborators and the media. After a brief speech by Mr. Abel Garcia, Vicepresident of TM Real Estate Group and Mr. Felix Gonzalez Canto, Governor of Quintana Roo, the ceremonial ribbon cutting took place, at that moment the hotel was officially inaugurated. Following this, several spectacular events were displayed such as fireworks, colorful costumed dances, a fire torch show, live music and the traditional mariachi band. 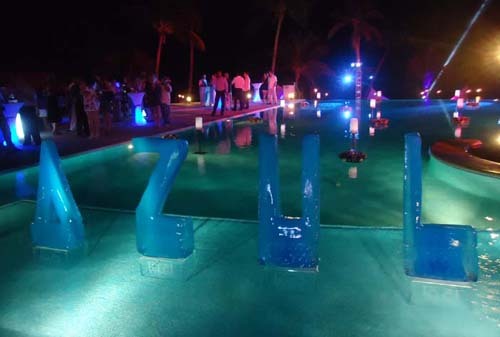 The decoration was very attractive with flower arrangements, extraordinary colored light display, spotlights and ice figures with the word “AZUL” at the infinity pool. The guests were offered a variety of the most selected orderves and drinks. Entry filed under: Azul Fives Hotel, The Fives, TM Real Estate Group. Tags: AZUL FIVES, opening.